The presentation of Martha Tate’s book about Margaret Moseley was spectacular! 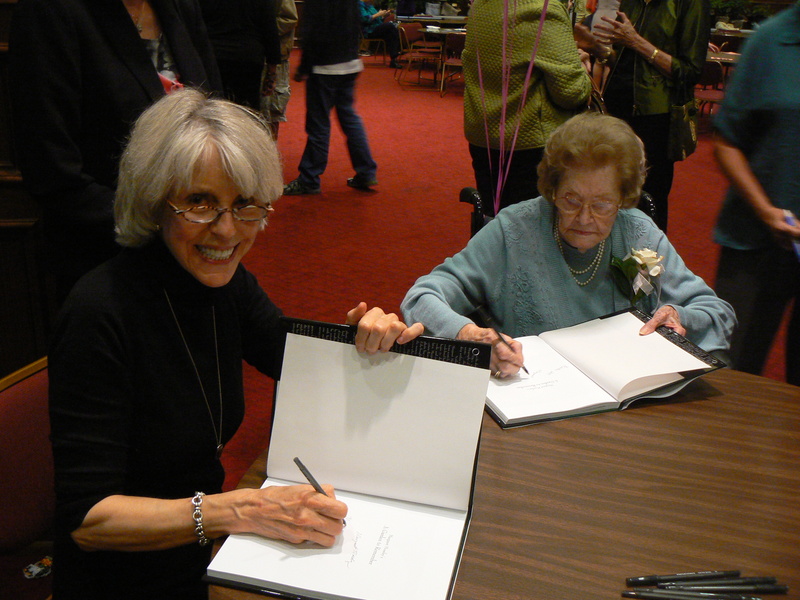 Above, Martha and Margaret signing books. The book is a work of love (by Martha) and art (by Mia Broder) and the best gardening advice ever published (by Margaret). “The book is the story of the extraordinary garden that Margaret Moseley started when she was 52 years old. It is also about a very funny individual who kept us all laughing with her antics. Instead of just a lot of expository writing, the book contains excerpts from Margaret’s own journals, her unforgettable quotes and reminiscences from friends who visited her often. It also contains a lot of photographs taken over the years and valuable plant information and hints for success. I think I might have written already that Margaret’s influence was felt far and wide in the gardening world. When she was discovered at age 78, she had been gardening for 26 years. 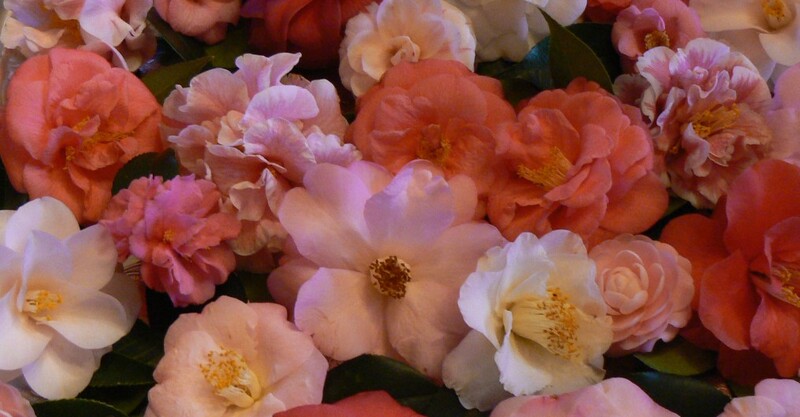 By the time I got out of my car at her house on a spring day in 1994, she had already filled her 3/4-acre back yard with collections of viburnums, hydrangeas, camellias and just about every other shrub you could think of. She also grew an amazing variety of perennials. While she had been unknown to garden journalists, she was a familiar sight in area nurseries, seeking out the newest introductions she’d read about in magazines, books, catalogs and the newspaper. She was also already swapping cuttings and divisions with other gardeners and buying old-fashioned plants from advertisers in the Farmers and Consumers Market Bulletin, published by the Georgia Department of Agriculture. When the news about her garden came out, the tour buses started arriving, along with television crews, and writers and photographers from national magazines. Garden clubs and Master Gardener groups arrived by the busload. Visitors to the garden enjoyed Margaret’s special almond iced tea (the recipe is in the book), and seldom did anyone leave without a plastic grocery bag containing a plant. She generously opened her garden for tours sponsored by plant societies. Little did Margaret know when she wrote this note what was about to happen. 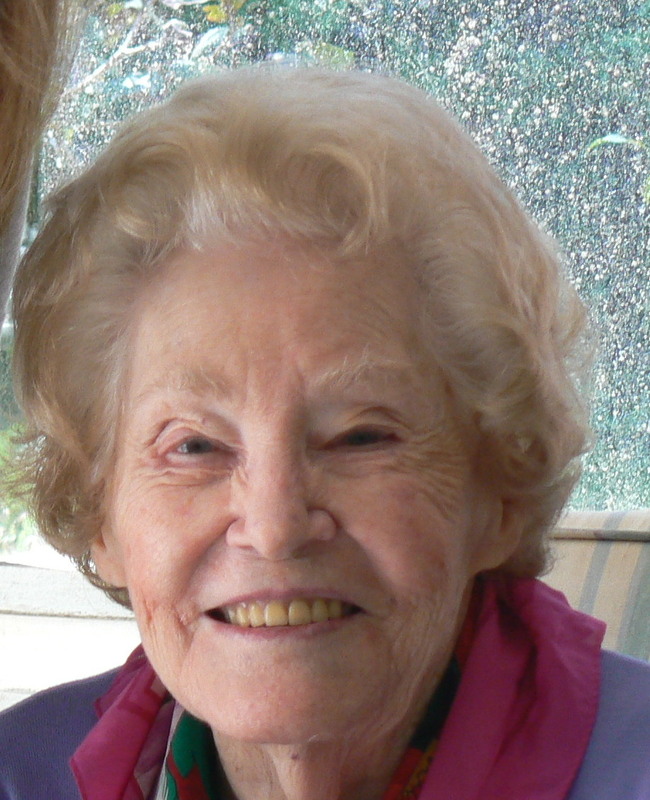 For the next decade and a half, she would come into the prime of her gardening life, making personal appearances at garden centers and events with her friend and founder of the American Hydrangea Society, Penny McHenry. Margaret would come to inspire countless individuals to begin gardening, and a mention of a plant in her garden would cause nurseries to sell out immediately. She corresponded with people from all over the world who saw her featured on HGTV’s A Gardener’s Diary. Every time you’d go there, you would come away thinking that it’s never too late to enjoy gardening or to start a garden from scratch, even if you were in your 80’s. Margaret is convinced that going out every day and working in her garden has contributed to her long life. She derived such joy in every bloom that opened and couldn’t wait to get out of the bed in the morning and start digging. 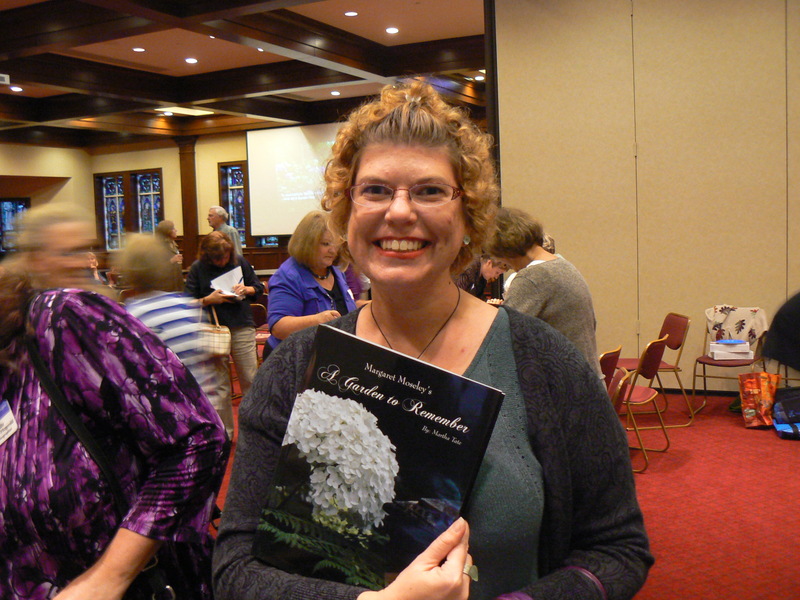 Tomorrow night my dear friend and mentor Margaret Moseley will be at The American Hydrangea Society Meeting signing the book about her garden written by Martha Tate. 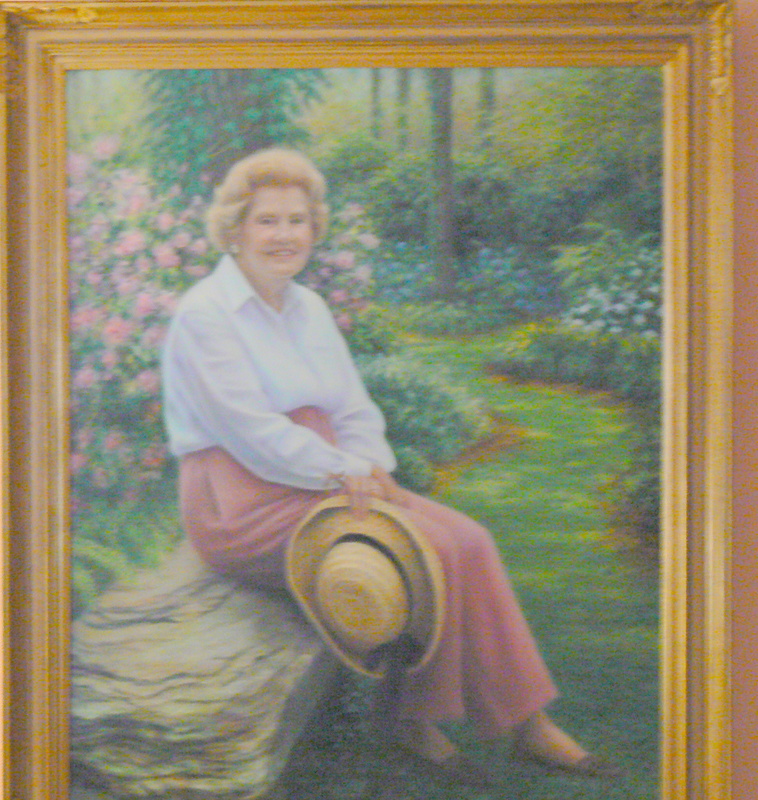 The richness of Margaret’s garden is captured in her portrait above. If you have been reading my blog you already know her great influence on me as I learned about Southern Gardening. Mine is not the only garden she has influenced. Lyndy Broder told me that when she first saw Margaret’s garden , she suddenly knew what she would do when she retired. 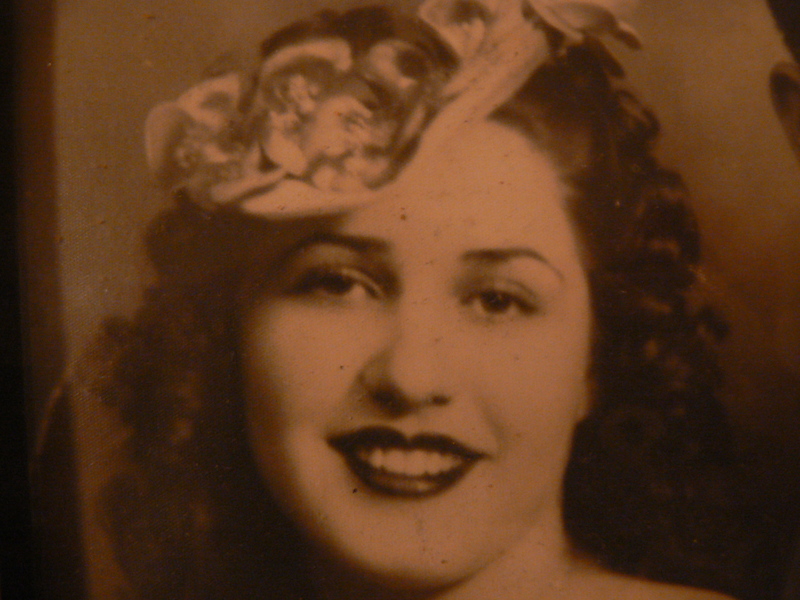 Mom passed on, just as she hoped she would, peacefully, quietly, in her sleep. I am back in Georgia…..on the Mourning Bench. I will lose myself in the garden for a while. It needs my attention. Four months of neglect during the growing season has been disastrous!